Maximize Capacity or Display Every Bottle…It's Your Choice! Modulosteel by EuroCave is made up of easy to fit modules which can be attached to each other in endless ways. Its steel structure has clean, modern lines giving it a decidedly contemporary style. 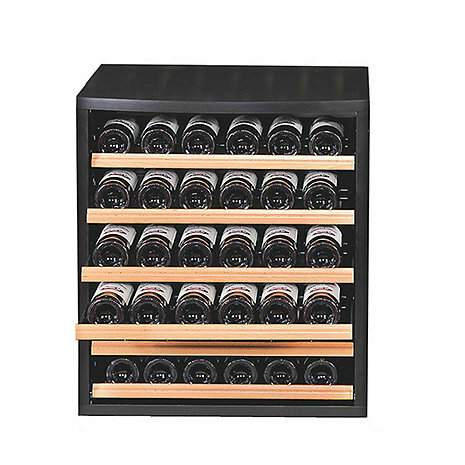 These racks are all built with Steel frames with a black epoxy coating and ideal for maximizing capacity or showing off your finest bottles utilizing the display feature. Each bottle is cradled securely with the MDS bottle holders, ensuring it will remain vibration free allowing your finest wines to age gracefully.